The hottest Hollywood non-surgical age defying microcurrent face lift treatment has made its way to New Jersey! This breakthrough in anti-aging technology is a well kept celebrity secret and has been featured on Oprah’s favorite things, Queer Eye for the Straight Guy and The Real Housewives of Beverly Hills. 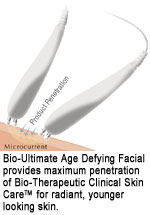 Microcurrent technology has been at the forefront of the battle against aging for several decades. Since its inception in the early 70’s, through today’s progressive developments, celebrities and common people alike have touted microcurrent facial as the true “fountain of youth”. Younger clients seek a microcurrent face lift to prevent some of the aesthetic effects of aging, while older clients can be rejuvenated. 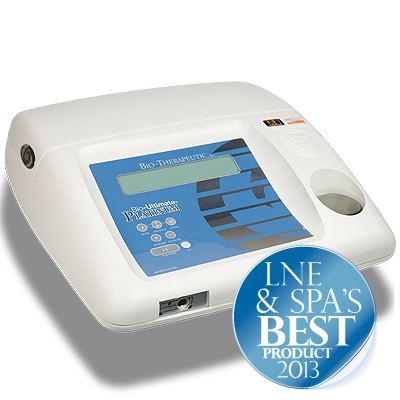 Amazingly, 20 minutes of microcurrent is equivalent to four hours of deep tissue massage. According to some studies, one microcurrent facial treatment delivers 72 hours of lift, while a series of 10 to 12 treatments gives anywhere from 6 to 18 months of lift. With consistent microcurrent facials your age can remain a mystery! Visit our microcurrent nj offices and learn more! Most popular microcurrent treatment prices and how much they cost? Quick lift gives an immediate improvement that lasts up to 2 days. Perfect for weddings, special occasions, in between appointments, or when you simply need a quick “pick-me-up”. Recommended to prolong the results of medical treatments such as Botox® injections and other cosmetic injectable fillers. We first need to understand what causes our facial skin to wrinkle and sag. As we age, our muscles become accustomed to certain expressions and tend to "stick" in these positions. A great example of this is the furrow between the eyebrows that many people get. At the same time, other muscles in our face are hardly ever used, and they begin to atrophy, which leads to sagging. An example of this can often be seen around our jaw lines, chins and necks where we tend to develop sagging or loss of definition as we get older. 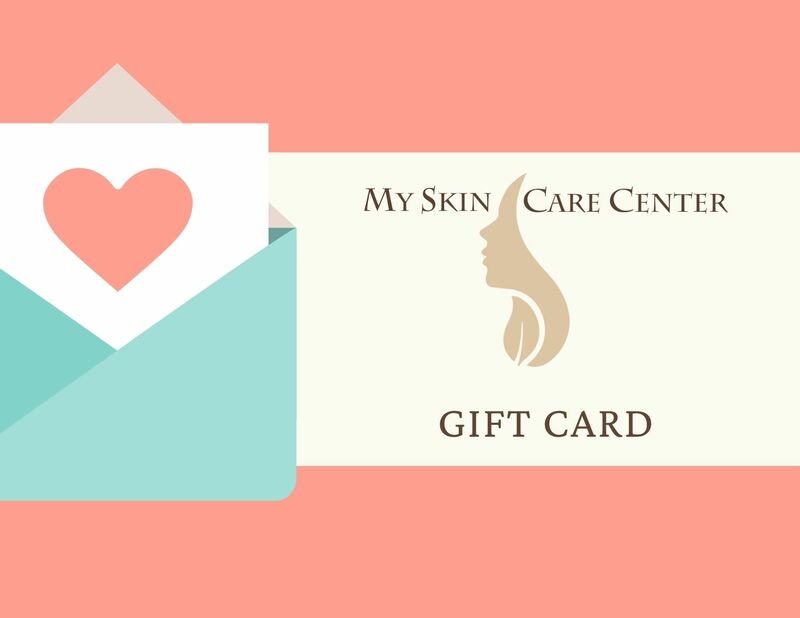 As we age, skin cells become less active, which leads to a breakdown of collagen and elastin. By the age of 45, the upper cheek muscles may elongate by as much as half an inch, dragging the skin over the cheeks downward to form plump little pouches at the corners of the mouth. The muscles under the chin become loose and the jaw line loses its firm contour. There are 32 different muscles of the face that are manipulated during the microcurrent facial. The treatment literally lifts, smoothes, and tightens before your eyes. 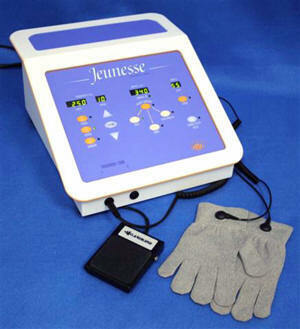 Probes or electric gloves are used to physically move the muscle into the desired position to perform what is known as muscle re-education – the process of lengthening or shortening muscles. Although microcurrent is electricity, this level of electrical current is far too low to cause the muscles to “twitch” or move involuntary. Too much energy can have a detrimental effect on the skin. It leads to a decrease in muscle tonicity and cellular activity. The patented technology we use is called microcurrent Suzuki sequencing. It controls the depth, purpose and effect that the electric current will have on the tissue being treated. The human body and all of its functions, are completely frequency specific. Just as we have an individualized DNA code and finger print, we also have a one of a kind electrical code that is unique to each of us. Having muscle re-education movements performed in a series re-trains the muscles to maintain this new contour. Microcurrent treatment allows the muscles the necessary energy to keep their tension in this new contour. Since you are "re-educating" the muscle tissue, it is crucial that you receive a "series" of treatments for results to reach their maximum potential. If the full series of treatments is completed and maintenance sessions are well maintained, results should last 3-4 years. Aging is an unstoppable assurance, therefore maintenance sessions are EXTREMELY IMPORTANT! Microcurrent was first developed as a medical treatment to treat Bell's Palsy. The currents were designs to re-educate the muscles of the face, stimulating them to return to a normal position. Bells Palsy is facial paralysis, usually effects one side of the face only. The cause is unknown, but inflammation of one of the facial nerves results in muscle paralysis to one side of the face. As their facial muscles atrophy (sag) microcurrent is used to rehabilitate the muscles. The muscles are lifted and toned and their faces look closer to their former selves again. What are the benefits of Microcurrent face lift treatments? The number of sessions depends on the client age and skin condition. The effects of microcurrent are immediate and cumulative. Clients go through a series of treatments followed by regular maintenance to keep a more youthful appearance. Each time a treatment is performed the new contour maintains its position better and longer. Typically clients will notice a 5 to 7 year reduction in facial aging. 40 – 50 years old: Initial series of 8 – 12, 3 times per week for 1 week and 2 times per week thereafter. Maintenance every 4 – 8 weeks. 50 – 60 years old : Initial series of 12 – 15, 3 times per week for 2 weeks and 2 times per week thereafter. Maintenance every 4 – 8 weeks. 60 – plus years old : Initial series of 15. 3 times per week; Maintenance every 4 weeks. Perfect for special occasions or a quick pick-me-up for an Instant Facelift lasting up to two days. Post surgical facelift to maintain the lift and treat blood stasis, scarring and numbness. Can microcurrent be combined with microdermabrasion ? Layering technologies optimize your results. By utilizing multiple treatments together, it significantly increases the end result as well as reduces the amount of time it requires to achieve this result. What about Microcurrent and injectables.? Utilizing both technologies maximize the end result. Fillers give a quick and effective “filling “ effect, diminishing the appearance of fine lines and wrinkles. However they do nothing for muscle contour, natural collagen or elastin production, all of which are addressed with microcurrent. Many doctors find it necessary to sculpt and contour the muscles of the face to maximize and complete the effect of fillers. Recommended microcurrent treatment after Botox and fillers is 2 weeks after. A lot of clients and doctors see prolonged effects of Botox when using in conjunction with microcurrent. Because of healing properties that microcurrent possess, it also is recognized as the tool of choice by surgeons for pre and post-op applications. It reduces post operative swelling, bruising and discomfort by 50 %. Who should NOT be treated with microcurrent and what are contraindications? MY Microcurrent has been selected as the 2016 Best Business of West Orange. Visit our microcurrent nj offices in Fair Lawn Bergen county and West Orange Essex county for a FREE microcurrent facial consultation. Explore our site and learn more !